Add the power indicator function instead of the built-in buzzer, you can check the power on displayer directly. Шлем хорош.Соответствует описанию.Очень доволен.Хороший продавец. Super fast delivery , 10 days to Lithuania, product good!! ya llegaron las gafas. las he probado y todo está perfecto tal cómo está descrito. todo funcionando correctamente gracias vendedor. Satisfied with this good. Very nice. Everything is fine. Thank you for fast delivery. The product is normal. The screen is clean. But when I put my goggles on my head, I can not see it because the distance between the screen and my eyes is close. And I am distracted. 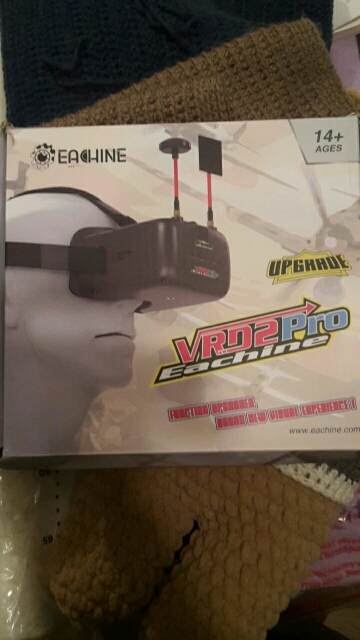 I have eachine EV800 Google. It looks good and the distance is reasonable. However, vr d2 pro is not visible when I use goggles and it is messy. But it is okay from a distance. I can not even see the slide screen on the goggles. The method should be further away from the eye. I think I need to fix it. все отлично. настроил быстро, все работает. До СПб 22 дня, шлем стоит своих денег, я очень доволен + продавец очень адекватный. ótimo produto .. falta testar. дети настроили быстро, будем пробовать дальше. продавца рекомендую!!!! En un principio parece que ha llegado en perfectas condiciones.